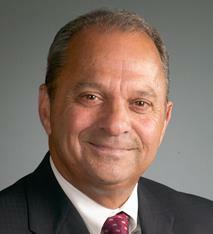 Al Ruffalo began his career in telecommunication services in 1983 when he joined Telecom*USA, Inc. Under his leadership, Telecom*USA Direct, became the fastest growing subsidiary of Telecom*USA. In 1990, Telecom*USA Direct was named the third largest inbound and outbound telemarketing center in the country by Telemarketing Magazine. In August 1991, Mr. Ruffalo decided to move in a new direction and, with four co-founders, created RUFFALO, CODY & ASSOCIATES. Six years later, Inc. Magazine, Ernst and Young, and Merrill Lynch recognized Mr. Ruffalo as one of the nation’s “Emerging Entrepreneurs of the Year.” In 1995, Ruffalo Noel Levitz was ranked 26th among Inc. Magazine’s 500 fastest growing private companies in the nation. One year later, Ruffalo Noel Levitz was purchased by McLeodUSA, Inc. a telecommunications company headquartered in Cedar Rapids, Iowa. In December of 2001, Mr. Ruffalo and members of Ruffalo Noel Levitz’s management team purchased the company back from McLeodUSA. During his time as CEO, he led the company through many years of expansion including 250% overall growth from 2006-2012. Mr. Ruffalo now serves as Executive Chairman of the company’s board of directors. Additionally, Mr. Ruffalo has held positions including Marketing Manager for National Oats Company in Cedar Rapids, Iowa and administrator for Cedar Rapids Community Schools. In recent years, Mr. Ruffalo has been named Corridor Business Journal Leader of the Year (2007), Junior Achievement Business Laureate Hall of Fame member (2008), Chamber of Commerce Entrepreneur of the Year (2010), and received the Loras College Distinguished Alumni Award (2011). Mr. Ruffalo is very involved in the community and has held various positions including Director of Junior Achievement, Director of Big Brothers & Big Sisters, and Director of the American Cancer Society. He continues to lead fundraising efforts for the American Heart Association (Heart Walk) and encourages Ruffalo Noel Levitz employees to get involved in area events as well. In addition, Mr. Ruffalo serves on The Board of Regents for Loras College in Dubuque, is a board member at Theatre Cedar Rapids, the Entrepreneurial Development Center, and Mercy Medical in Cedar Rapids.